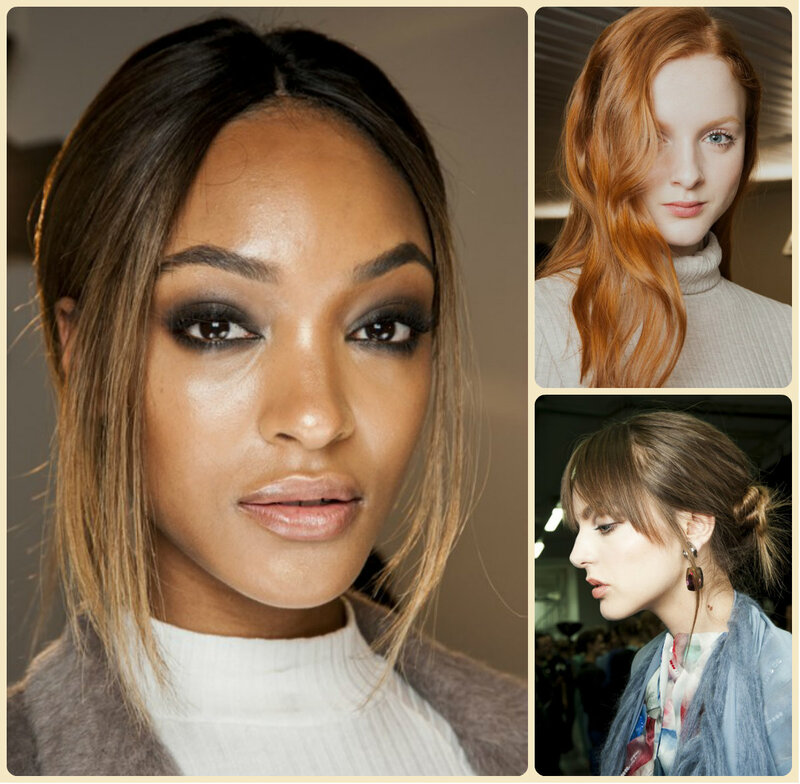 Looking forward to the coldest season of the year, it is time to get to know and bear in mind some simple ideas for winter 2016 hairstyles. Some runways shows have already introduced the main trends for hairstyles the coming winter and we are here to consider them right now. First of all, it is obvious that we see the same hair tendencies in 2016 as the year before - natural looks and nor extravagant and artificial designs. Once again designers turned attention to the inborn beauty that each women bears inside, and just underlined, creating the most popular hairstyles. Here are the main direction that you´d better take into account already now. 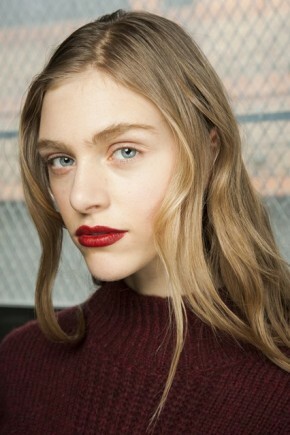 Wet effect hairstyles still remain on-trend, even though they look mostly summer as if out of the sea. 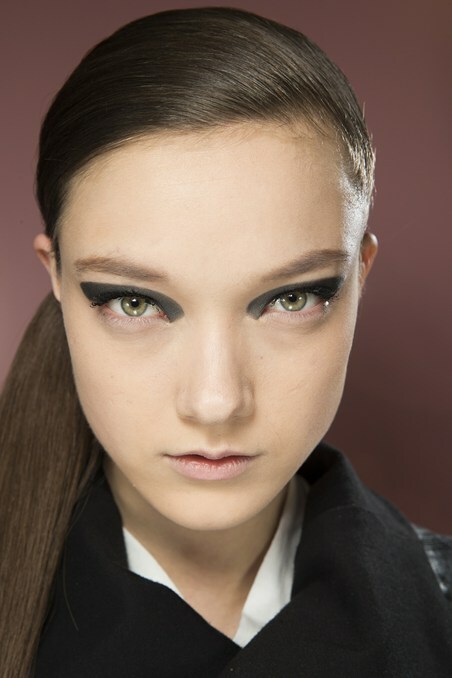 Center parts along side with deep side parted hairstyles are also spotted on models. One new thing are hairstyles with bangs that seem to become more popular now. Now let´s see the hairstyles pictures. With the vivid center parting tendency of the previous season, we now see a shift to off-centered hairstyles, and mostly to deep side parting. This tendency is applicable not only for loose hairstyles, but for updos and ponytails as well, it looks quite elegant and converts a casual look into something more. The recent runways introduced us very cute wavy hairstyles with deep side parting, they are natural and easy, and the truth is that nothing is more romantic than relaxed waves. The updo hairstyles of the coming season are not very complicated and sufficient, and you do need to go to a pro hairstylist to have them done. All you need is to have long hair that are still in the mainstream and gaining some skills to make simple French twist, not very polished, slightly messy and careless instead. 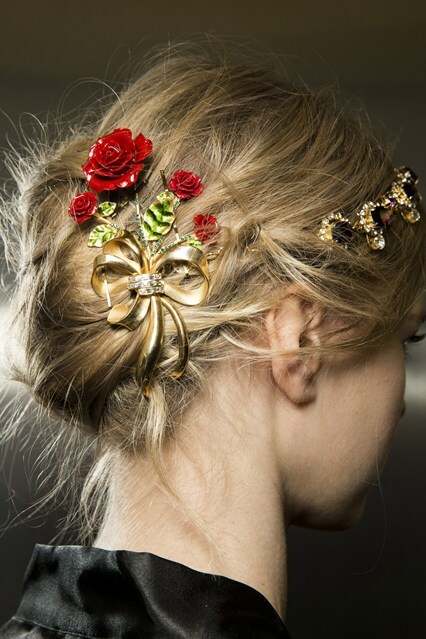 Do not miss out the gorgeous hair accessories like hair jewels and flowers! 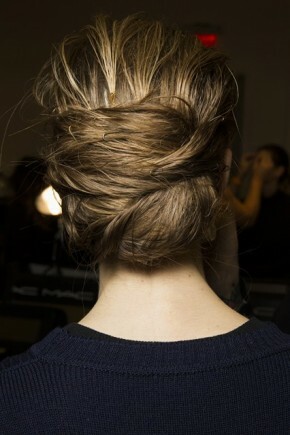 They can adorn the most simple hairstyle. Seasons pass one after the other but we still have wet hairstyles as one of the mainstream looks. They had a sensational comeback last year, and for hot seasons were very on spot. 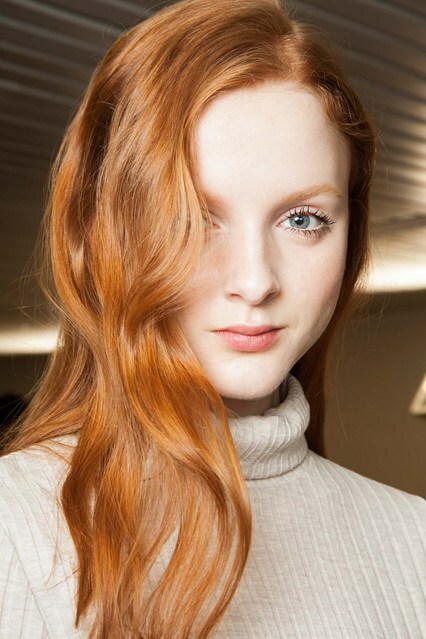 But here you see that for autumn and winter they are still popular hairstyles, that will keep you in the limelight. Even though center parting seems to lose its positions so far, we found an excellent example of wearing a lob hairstyle in a low bun and center parted. 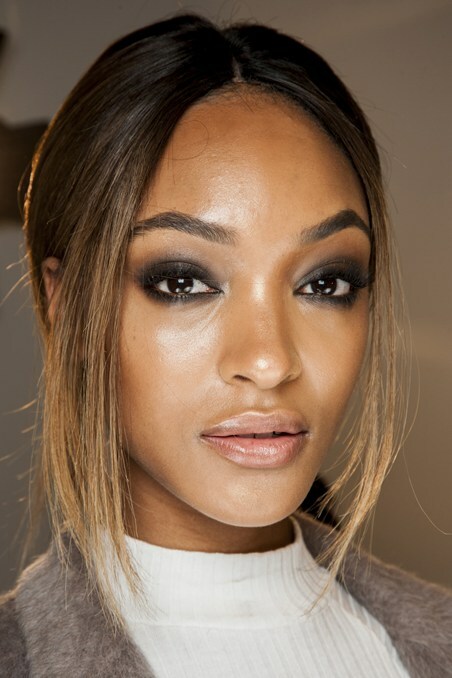 Here is Jourdan Dunn and her delicate hairstyle to try out this winter.